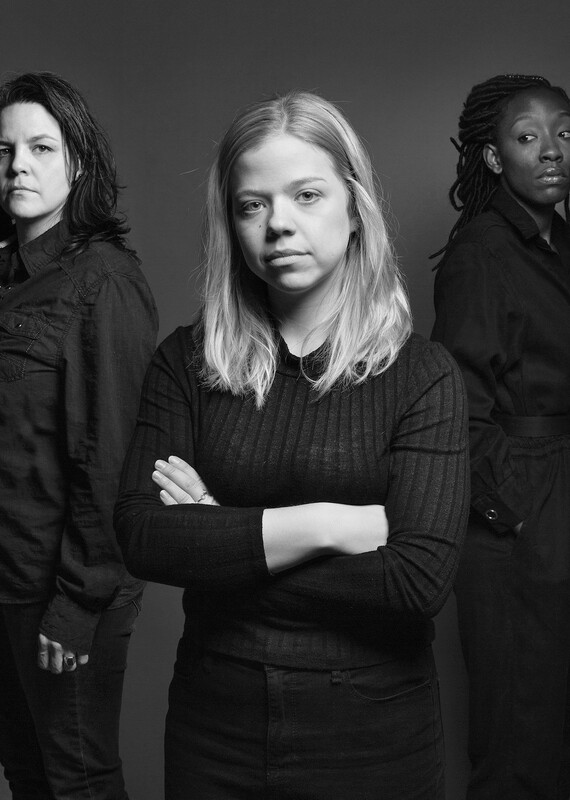 Tarragon’s new prison-set one-act from Charlotte Corbeil-Coleman thrives on the shoulders of an incredibly strong quartet of women and a compellingly twisty structure that races ahead and forces the audience to chase it. Corbeil-Coleman’s dialogue is quick, cutting, and refreshingly funny even as her play is pitch black. Director Richard Rose keeps the pace up and his cast moving though I missed the claustrophobia that would have driven home the play’s themes more viscerally. Vivien Endicott-Douglas is particularly captivating as Sid, a young inmate whose encaged energy risks explosion, and, later, she’s funny and honest as a little girl just waiting. The always fantastic Virgilia Griffith is similarly memorable in the less flashy role of what feels like a two-hander until Michaela Washburn enters and tears the house down with frank emotion and a wildness Columpa C Bobb’s underdeveloped guard character struggles to constrain. The psychological and systemic lesson-learning of the reportedly research-heavy play doesn’t land as impactfully as expected and perhaps intended but the character storytelling is incredibly effective and I’d always rather come to care about people than be taught about tragedy. Guarded Girls continues in Tarragon Theatre’s Extraspace until May 5th.